He Was Born And Raised In Israel, And Upon His Marriage He Moved To London. In The Last Year He Settled In The United States Where He Is Continuing To Do חיל. Chaskelson’s Special Vocals That Combine Emotion And Power Has Already Bought Him A Crowd Of Fans And Holds A Schedule Of Weddings And Busy Events. “Adir Bamarom” – A First Single That Chaskelson Composed During His Years Of Learning In Yeshiva After Studying The Issue Of ברכת הכהנים. 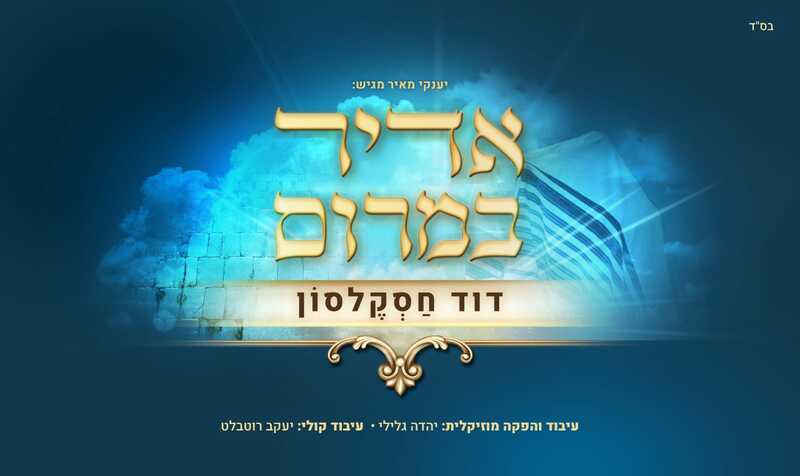 The Production And Musical Production Was Coordinated By The Producer Yanki Meir, The Musical Arranger And Producer Yehuda Galili, With The Vocal Adaptation Of Jacob Rotblat.